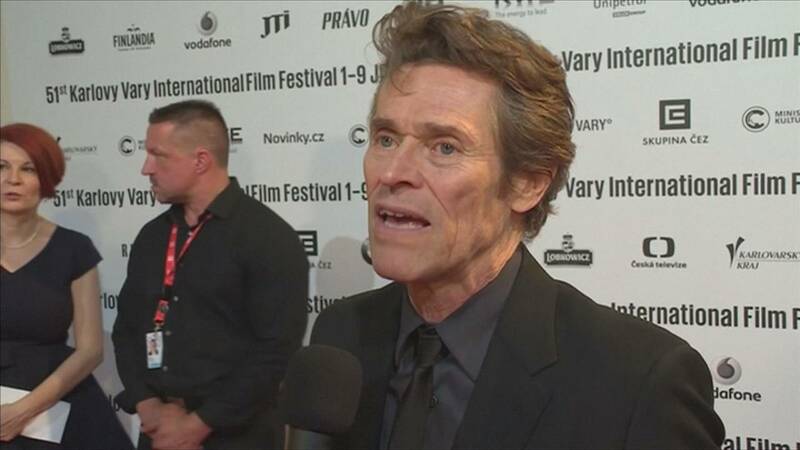 US actor Willem Dafoe was one of the main red carpet attractions at the opening of the 51st Karlovy Vary International Film Festival in the Czech Republic. Dafoe, a two-time Oscar nominee known for his roles in and ‘The English Patient’ and ‘Spider-Man’ among other films, was awarded this year’s the Crystal Globe for Outstanding Contribution to World Cinema. “I have always heard good things about Karlovy Vary and they invited me to come other times and I always wanted to come and never could, so this was the year that I was able to come and I am excited to come,” Dafoe said as he arrived for the ceremony. The festival will screen two Dafoe features with the actor present; last year’s ‘Pasolini’, directed by Abel Ferrera, and Martin Scorsese’s 1987 classic ‘The Last Temptation of Christ’. The 2016 Karlovy Vary International Film Festival kicked off with the world-premiere screening of the Prague-shot film ‘Anthropoid’. It tells the story of Reinhard Heydrich, a powerful Nazi and a principal architect of the Holocaust. Heydrich was assassinated by Czech and Slovak fighters in 1942 in Operation Anthropoid. The film by director, screenwriter, and cameraman Sean Ellis, was 15 years in the making. It is set to be released in the US on August 16. The KVIFF runs until July 9th and shows more than 180 films; 12 of them are included in the main competition.